As a distributor we take on all of the post production responsibility to get your product from the farm or lab, to the shelves of merchants. We purchase the product from cultivators and manufacturers, based on consumer demands and seasonal sales forecasts. Our sales representatives are knowledgeable on our inventory as well as the effects and potency of cannabis in the products we carry. This enables them to educate retailers and dispensary staff and/or customers, set-up product demonstrations and promote particular brands. We observe all quality control standards as applied to our staff, products, and facility. Our quality control also pertains to our customer service and communication, such as account holder correspondence. We are responsible for compliance, including applied tax collection and data entry to the California Track & Trace system. 3rd party testing is used and the inventory is not made available until it passes and meets our standards for packaging. Our deliveries can be made on a will-call or regular basis. Capital City Distribution takes pride in our on-time deliveries, adherence to regulations, and proper business practices. Located in Sacramento California and providing service to the entire Golden State. 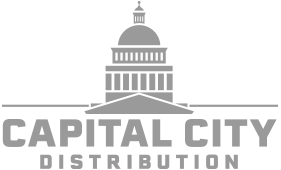 Capital City Distribution is operated by our team of activists and entrepreneurs who have been passionately involved in the Cannabis Community for nearly two decades. If you are a licensed retailer and would like to setup an account, or request a menu with pricing/ordering details click the link below to contact us. If you are a licensed cultivator or manufacturer and would like to distribute through Capital City please send us your product information so we can setup an appointment.